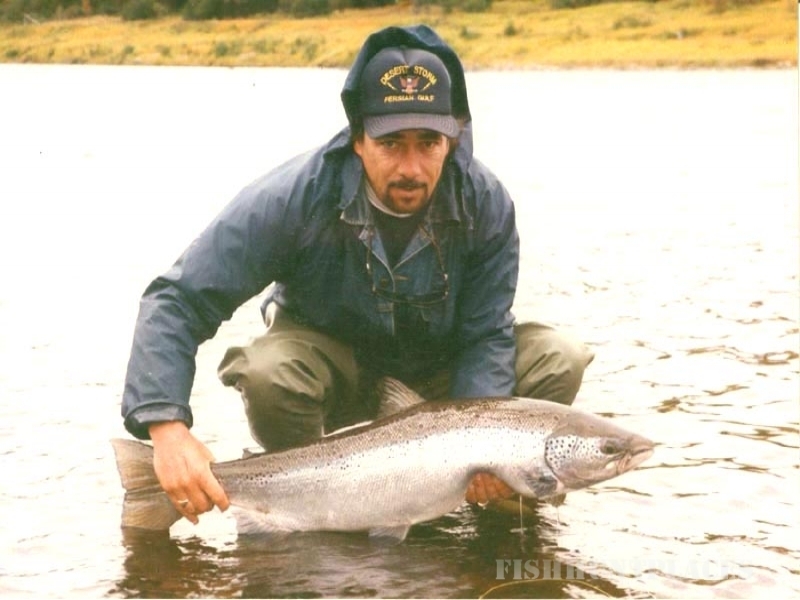 Atlantic salmon that come up our river starting in early summer stay in the river system until the following spring. They spawn on the gravel beds in the fall and lose about 30 percent of their weight while in the fresh water. When the ice breaks up, which is usually mid April the Salmon begin their journey back to the sea. Fishing for spring salmon is usually done from a boat, stopping to fish in stretches of the river where the fast moving spring current slows. We use all 14 foot aluminum boats with 10 -15 hp outboard motors. For equipment you could use a sturdy 9 foot rod, regular sinking line, ten pound test leader and your favorite streamer flies i.e. Golden Eagle, Mickey Finn, Renous River Special. 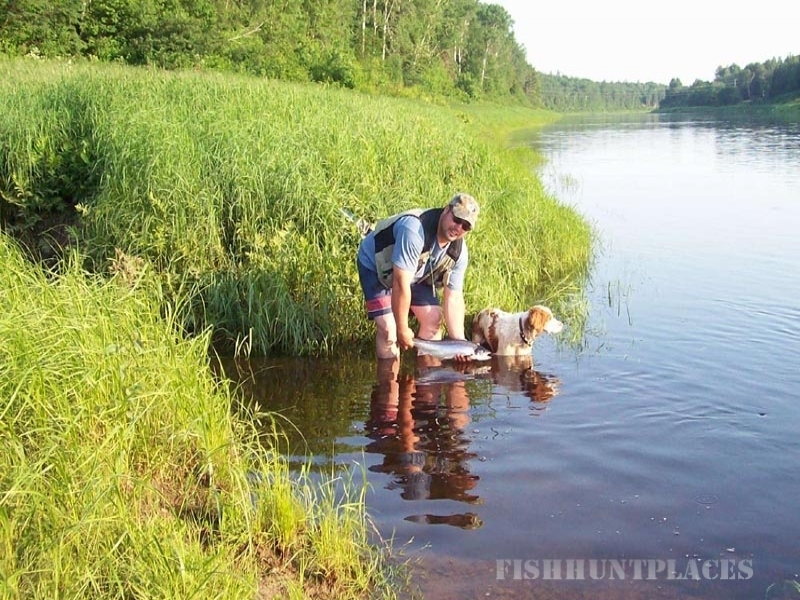 Eight to ten fish per day is average with some exceptional days. 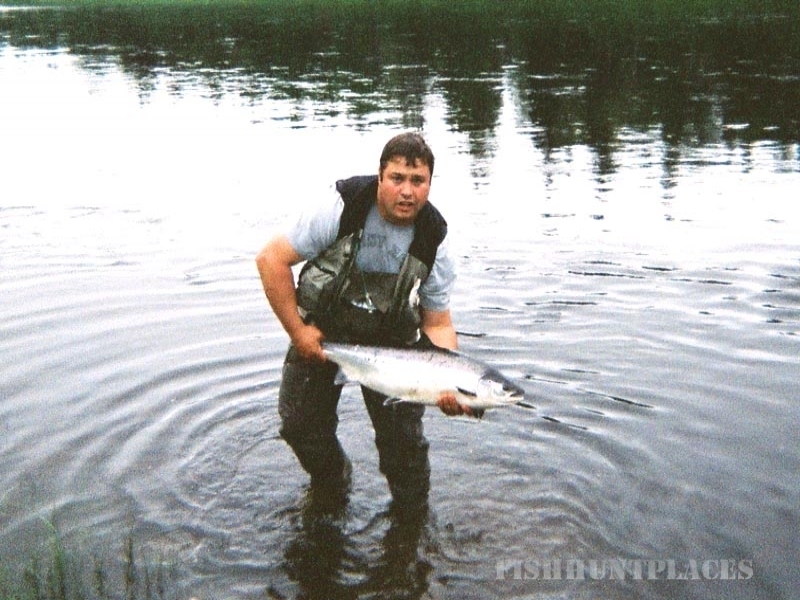 It is not unusual to have a sore arm after a good day of Spring Salmon fishing. 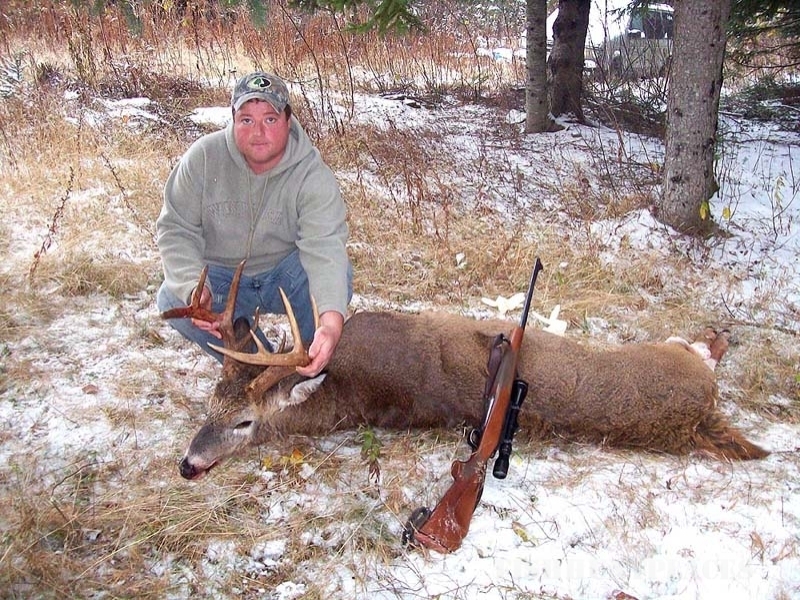 Back in 2007, we did a promotional hunt, with twenty-one hunters and had a 100% success rate. Several large bears were taken, the largest being 300 pounds. 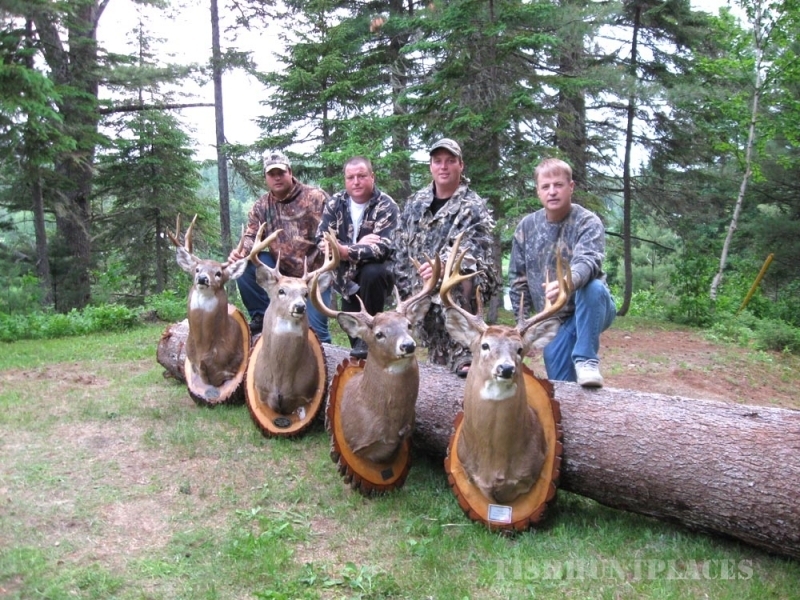 We take only six hunters per week to ensure you receive the best chance possible to bag a trophy. 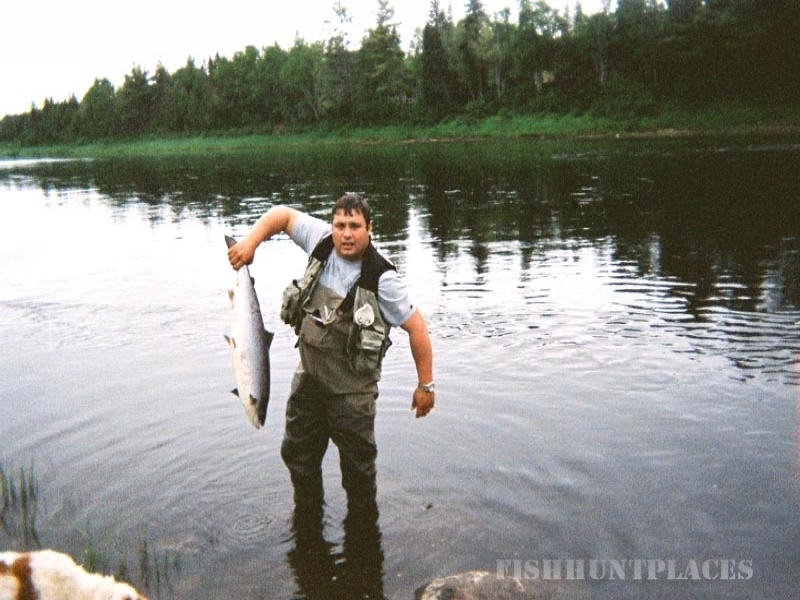 Our guide ratio is two hunters per each professional guide. Unless we feel it is necessary, we harvest only one bear per season from each stand.